Comfortable pajamas are one of the best things in life. It’s so lovely to come home from a long day and slip into something soft, pretty, and stylish that can help you relax. Some of the best-rated women’s PJs are little on the pricey side, so they make great gifts if you are looking to give someone a luxurious treat. If you aren’t sure where to start looking, don’t worry we have you covered, not only have we found the most popular and stylish women’s pajamas, but we have also found the coziest. It doesn’t get much more comfortable than modal, especially for PJs and this set from Nordstrom is 95% modal, so it is super soft and very comfortable to wear for sleeping. This set comes in some cute patterns, and it is a very flattering fit for most body types. The Eberjey Gisele PJ is a great luxury PJ. They are a little on the pricey side, but by most accounts, the price is well worth it for the incredibly soft fabric and stylish design of this set. You can get the Gisele in a short or long version, and they are perfect for summer months. The material is exceptionally soft but not sheer. Not only are they super stylish, classic and modest, they are also smooth with a little bit of stretch to them so you can sleep and move around in them comfortably. The only downside to these PJs is that they have to be hand washed and put flat to dry, so they are a little bit more high maintenance than some brands. 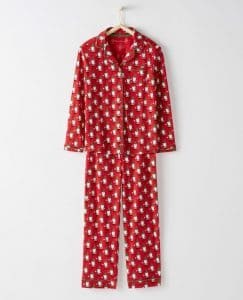 J Crew has many great pajama styles, with their Vintage Pajama Set being one of the best. You can get it in long or short sleeved with full or cropped pants. It is usually available in around three colors with seasonal prints sometimes available. They are made of smooth, almost silky cotton, so they are lightweight pajama making them great for the summer and for those who prefer a lighter PJ in the fall and spring. It is a classic almost men’s style design that is tailored for a woman’s body. They have a contrast piping that adds to the overall classic styling. They are comfortable for sleeping and are a great option if you are looking for something modest and cute to wear in front of guests. L.L Bean has a few different options for PJ’s. 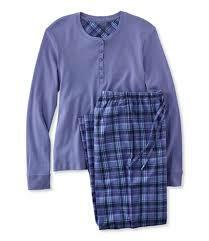 One of their most popular is their Flannel Pajama Sets. They are warm and cozy and are great for a cold winter’s night. They also work well for lounging since they are so soft and come in some beautiful color combinations that look great if you are wearing the sets around house guests. As with most L.L Bean products, they will stand up well to washing and wear and should last you for several years. Since the brand was founded in 2010, Everlane has become a favorite go-to brand for high-quality basics at a reasonable price point. They offer a few different options for sleepwear, their most chic and cozy set of pajamas, are they Oxford Pajama shirt and pant that you have to purchase separately that can be worn as sleepwear or a lot of people seem to be wearing them as casual day wear. They come in two colors: light blue with white trim or white with navy trim. They also offer a silk sleep short and camisole set that is reportedly very comfortable. Victoria Secret is a great place to look for pajamas. They usually have a wide range of options available. The Dreamer line and the Mayfair styles are very comfortable with great colors and fabric, although I’m not sure they are still being made. Currently, on the site, I can only find a couple of pairs of Mayfair that are discounted and no Dreamers styles. The Sleepover Knit sets are perfect if you are looking for a lighter weight style that washes well and won’t lose its shape. They come in 8 colors options and are made of a soft, lightweight jersey. They have the contrasting piping and the VS logo on the chest pocket, so they look pretty sharp. The other style that a lot of women like are the Afterhours Satin Pajama, they come in a bunch of different prints and a couple of plain colors like black. The pink strip is particularly popular and cute looking. They are made from an imported polyester, but they have a silky soft feel to them and work well for all year wear. You often see Bedhead Pajamas on TV shows like New Girl and Ally McBeal. They are notable for their quirky, colorful fabric designs. Their best PJs are their traditional styles, but they also sell super comfy robes, shorty pj’s, long sleeved, short sleeved, cami style, sleeveless, capris style, the. One of their most popular designs, the Bedhead Classic, is made of beautiful fabrics that can be warm in the winter and cool in the summer. The styles are fun and comfortable to wear. 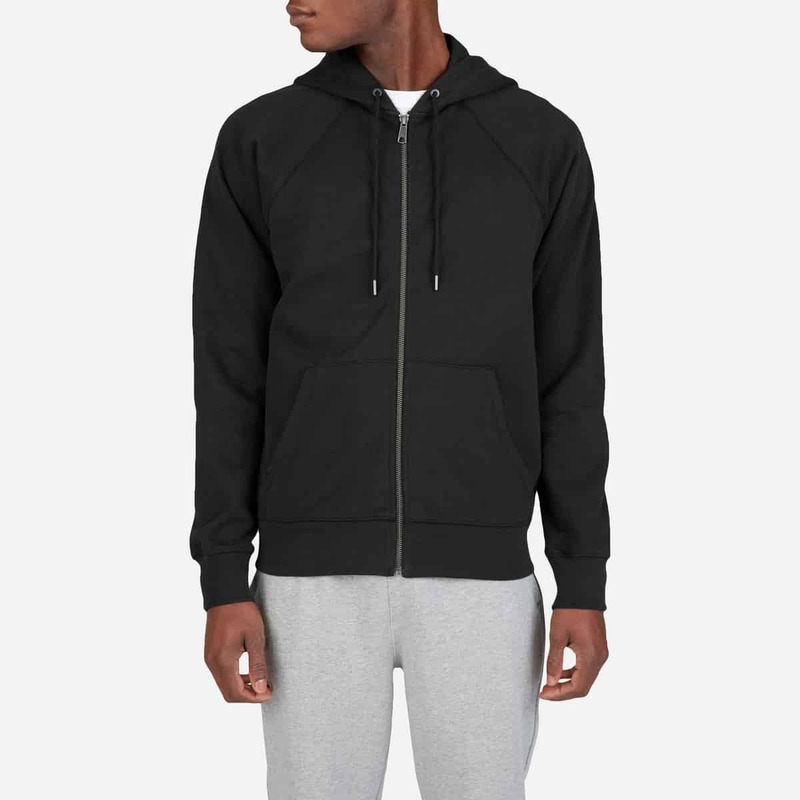 They also come in some plus sizes as well as options for men, teens, and children. Overall they are a very high quality made in the USA brand that is great for everyone. A brand that is is making some cute, cozy PJs that are worth checking out at Nordstrom is Make + Model. They have a few designs to choose from with one of the most popular being the Knit Girlfriend Pajamas. They come in a bunch of cute patterns, and the knit is super soft and pleasant to sleep in, especially if you tend to get overheated. Oh, and they come with a matching eye mask. The Gap is a great place to shop for PJs. Their selection of pajamas is constantly changing depending on the season. They offer warm flannel separates in the winter, and they have some great cotton prints for the warmer months — lots of choices in inexpensive, interesting prints made from comfortable fabrics. Most of their garments are offered as separates so you can mix and match and get precisely what you want. You can almost always get some kind of sale at Gap. If you are looking for very warm, super cute patterns, and styles that hold up well to laundering check out Hanna Andersson. This brand makes PJs from a thick, soft 100% organic cotton fabric. They also have a great selection of Christmas Themed Pajamas and Accessories for the whole family. If you are looking for a comfortable budget line of sleepwear check out The Gillian O’Malley Total Comfort line at Target, they have some of the softest Pj’s around. They come in a wide variety of styles and fabrics with one of their most popular designs being the Women’s Pajama Set Total Comfort (pictured above). They are surprisingly good quality for a budget line. Garnet Hill is a great place to shop for excellent quality pieces that will last a long time. Their Asian Wrap pajamas (pictured) make a great gift item since the style is kind of unique for an organic cotton style of PJ, they come in a beautiful selection of prints, and the comfort can’t be beaten. They are a great all season style, warm in the winter cool in the summer. They are a bit pricey but worth it. What makes a great Pajama? A lot of things go into making a comfortable pair of PJs. Here are a few things to look out for. Material– When it comes to comfort the most important factor is the material that the sleepwear is it is made from. There are a lot of different fabric options, so you need to have some idea of what works best for you. Cotton is excellent if you want some soft and lightweight (especially for warmer weather, but it doesn’t work well to keep you warm. If you need something to keep you warm look for cashmere, wool or fleece. If you want something that you can wear year-round, that will keep you warm in the winter and cool in the summer try silk. Fit– Finding an excellent fitting set can often be a little bit of a challenge since may retailers break to fit down to small, medium, large rather than numbered sizing so you don’t have as many options. If you find it different to get the sizing right, you may need to look for companies that sell their sleepwear as separates rather than a set. Price– For a lot of women pajamas are a little bit of an extravagance. You can always find an old t-shirt and sweats to sleep in when you are at home, but it sometimes doesn’t cut it if you are going to be around people who don’t usually see you in your PJs. Some of the sets on our list are pretty pricey, so they can make a lovely gift if you want to treat someone special. If you are on a tight budget, check out target they are one of the best places for good quality inexpensive options. Pattern or Color – While it doesn’t affect comfort levels. Mentally if you are in a PJ that you love the color or the print and feel like yourself, it can go a long when in how comfortable it feels to you. Pajamas are a great way to show your personality with quirky patterns or material, especially if other people aren’t going to see it and you are only shopping to please yourself. You can also get beautiful, luxurious soft kinds of cotton and silks. Quality– Most PJ’s aren’t built to last too long, and if you are wearing the same pair daily, you can expect Buttons fall off, fabric to stretch and wear out, color to fade, elastic waistbands break, etc. If you would prefer to buy a set that will last a long time, look for the brands with a high-quality reputation, Garnett Hill, LL Bean, Hanna Andersson. They are all known for their excellent quality and durability.